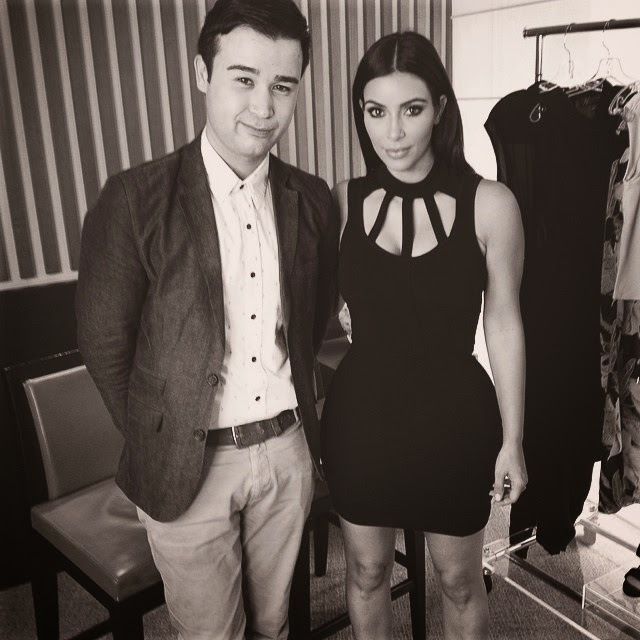 Chris Urankar, Lifestyle and Entertainment Editor at Instyle magazine (Australian edition) has just interviewed Kim Kardashian ahead of the Kardashian Kollection new season launch, and his online feature story on her and the line, which will be published on the magazine's site on Monday. I was bowled over by how sweet, warm and funny @kimkardashian was for our #interview today and how she happily agreed to pics even tho we had gone overtime. So much fun @kardashiankollection #kardashiankollection #kiminaustralia — with Kim Kardashian. Here is another snap of Kim Kardashian at the interview. The October edition of InStyle magazine - with Dannii Minogue on the cover - goes on sale on Monday September 15.